You must make reservations at least 5 minutes in advance of the time at Mariposa at Neiman Marcus - Beverly Hills. For Valet or self park enter on Roxbury. We validate for self parking in our parking structure. Tell us what you desire, we will help you coordinate. Fashion a first-class fête. Pamper the glowing bride- or mother-to-be in your life with the shower of her dreams; celebrate a birthday with a lavish luncheon; or set some time aside to socialize with a cocktail party or afternoon tea. At your service. We also offer entrée trays and special catering services for any sort of event in our dining room or yours. Let our manager help coordinate your next event at Mariposa®. Need the perfect spot for a Bridal Luncheon, Baby Shower, Rehearsal Dinner? Looking to celebrate and reward your team for a job well done? 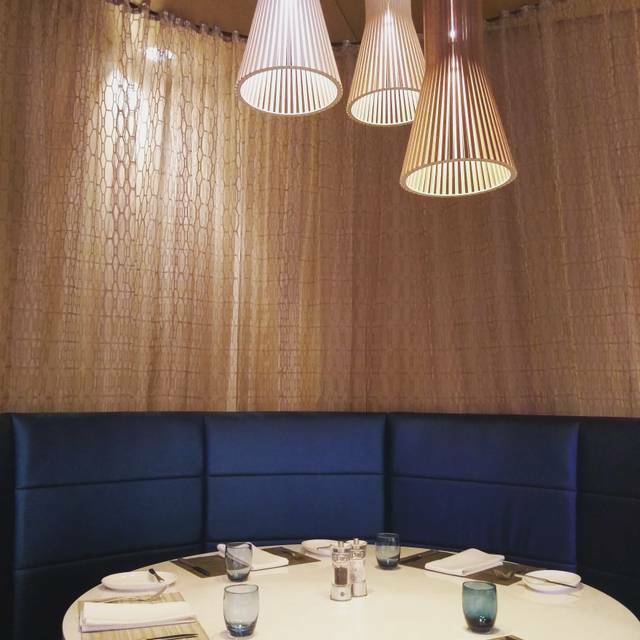 Dine with exclusivity in the Neiman Marcus Mariposa. Located on the Lower Level, we are ready to treat you and your guests to a spectacular event. Enjoy upscale contemporary cuisine in our newly remodeled Mariposa®. Experience the magnificence of LED lumen technology in art panels from the Neiman Marcus permanent collection while sipping a cocktail or glass of wine. Delight in a favorite menu selection or try an exciting, seasonal creation from our daily specials menu. 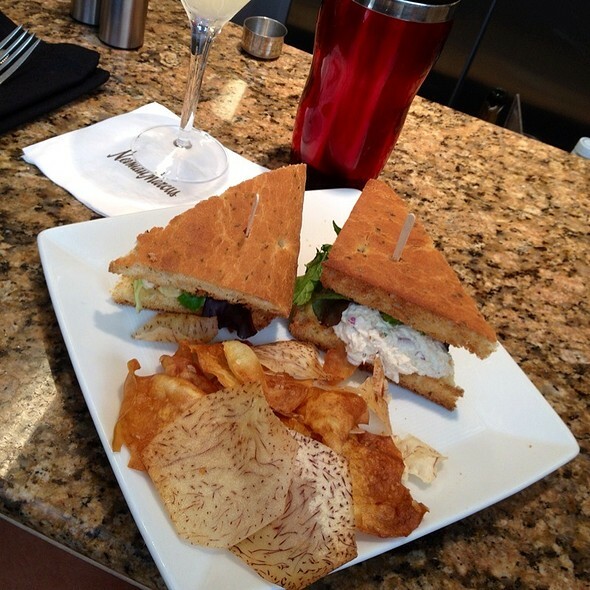 Whichever you choose, you'll experience delectable food with exceptional service that is synonymous with Neiman Marcus. The menu is a bit limited but the popover and opening sip of chicken broth is devine. The seating could be a bit further away from neighbors but it is okay. 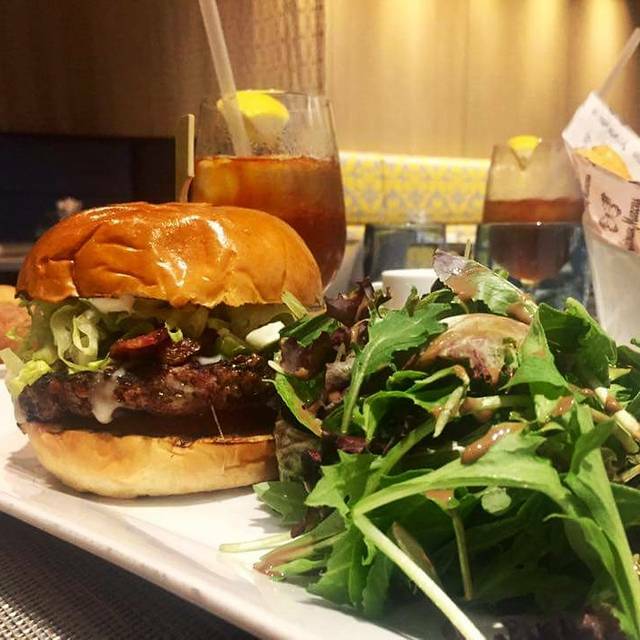 We do love having lunch there when shopping at Saks and Neimans. Love Mariposa. I’m a regular. It’s my local gem. IF you like popovers, this is the place to go. Otherwise the food is pricey and the atmosphere is like being in a duty free lounge. Service was great. Great food and service. I had a wonderful time before shopping. This is a great place to meet for lunch. Great menu and easy for conversation. Wonderful. It was easy and the food was good and we could sit and talk. A meal at Mariposa is a delight. They manage to provide an eating experience that is both relaxed and elegant. It is not inexpensive, but the level of food and service makes the splurge worth it. My friends and I love meeting at Mariposa for lunch!!! The food, service and ambiance are always enjoyable. Great lunch!! I've been going to Mariposa for years and they never disappoint. The Salmon and Filet Mignon are my favorite entrees. They bring complimentary Yorkshire Pudding, Chicken Broth and a Cheese Biscuit to your table - its worth going just for these things. Great Dessert & Drink Menu. They know how to make a perfect Espresso. Friendly staff. Great for lunch. We dine here often. Convenient if you have been shopping. We had a terrific waiter, Jason. Hubby and I started with Chicken Tortilla Soup. Very flavorful! Next was Saffron Fried Rice with Shrimp, Crab and Cilantro Aioli and Meatloaf, Garlic Mashed Potatoes and Veggies for hubs. Did not have room for dessert, but enjoyed our cocktails - bourbon based for him and San Germain/Belle de Brillet Pear Liqueur based for me. Delish as usual. Thank you, Edwin, for your hospitality. Jose took great care of us and the food was delicious as usual- we are never rushed, but encouraged to relax and linger! Proximity to the perfume department makes sim seating locations uncomfortable for those with allergies, due to infiltration of heavy scents from the perfume counters. The food and service is excellent here. The experience is reminiscent of old school department stores with their signature restaurant oasis. I did not care for this menu and I loved it in the past. I also miss the charm of the old room! It used to be good, now it's AWFUL. 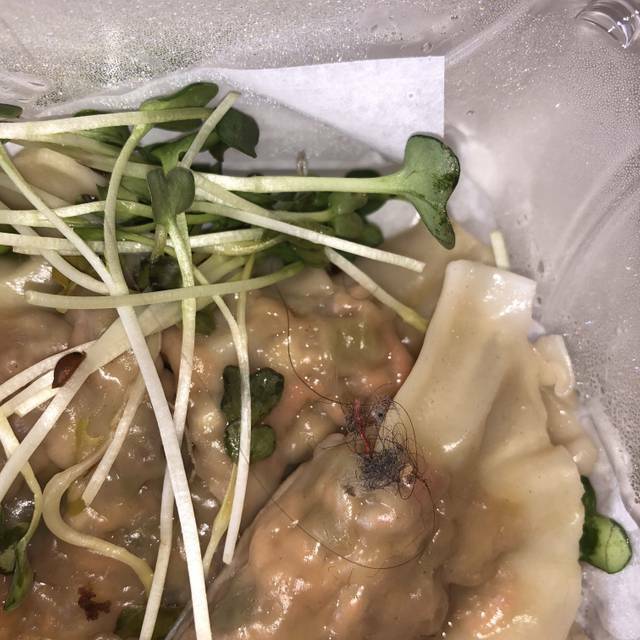 I do not recommend this restaurant at all, so bad. always. great lunch! service is consistently superb!! A little bit pricey for lunch, but the food was excellent. Very different and very tasty. Service was so so and I was disappointed because the restaurant was very empty. Where do you go for a boozy girls lunch? The Mariposa. Tasty salads and healthy apps help you curb the guilt over asking for a second popover. Who doesn't love starting lunch with some broth and a cracker? I love the Lobster Cobb with dressings on the side and the filet mignon spring rolls that are light, protein packed and quite frankly, delish. I love Mariposa. An elegant restaurant with a contemporary menu that recalls the great dining experiences of Iconic Specialty Stores. After you're seated they bring a delicious Chicken Broth with a mini-Cheese Biscuit and Warm Popovers. I can make a meal of these alone. These welcome dishes have been a tradition at all Neiman-Marcus restaurants for decades. I usually get the Salmon, Filet Mignon or Burger. Get the Parmesan Truffle Fries and reward yourself with their Chocolate Cake Dessert. This is a great place for people-watching! The restaurant has a Glass Wall that faces the Cosmetics Department and of course you're likely to see a recognizable face among the restaurant's clientele. Its Tasty, Fun and the Atmosphere is cool. excellent addition to an upscale department store -impeccable staff and food, elegant decor. best thing is the ritual popovers served with every meal, and available nowhere else. Mariposa has a nice variety on the menu. We stopped in for lunch and everyone loved their meals. We had the spaghettini with shrimp and eggplant, the salmon, shrimp salad, mushroom burger and it was all delicious. The popovers are just the best thing ever. This place is not cheap $30 for a dish so just know that going in. Please reconsider freely passing out plastic straws. Good food and service as usual. Also got to see and converse with Robert. He’s part of the charm. Always comfortable. I have been coming to this place for maybe a decade. It’s my go to place for lunch when I have guests. The environment is always relaxed; excellent service. I have always looked forward to the tasty broth and Parmesan stick. 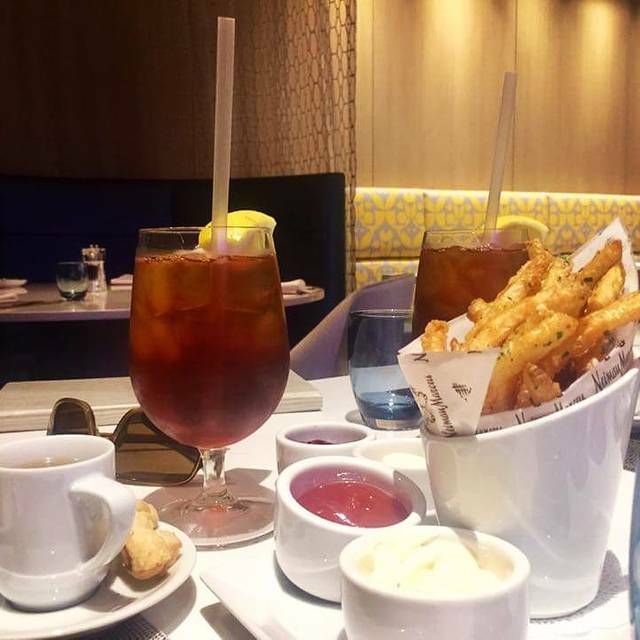 My favorites are the to die for truffle fries and the amazing Honey Roasted Mirin Glazed Salmon salad. Will keep coming back for more! The choice of music -- not good -- tired rock -- did not fit the place -- and to loud, but was lowered when asked. I had the specials on this visit: Lobster & Corn Bisque, Lobster & Grits, side of Corn and Key Lime Tart! All were delicious! You must go as there's something for everyone. The food at Mariposa was very good, as usual, but I really miss the personal, warm service that my guest and I have always received from James and Rena. The ambience was definitely different. James was a staple at NM, and I do miss him. I didn’t get a chance to say so long. Thank goodness the food still stands up. Except for the waiter the overall experience was delightful. Mariposa is my go to for lunch in Beverly Hills, particularly if I am dining with women. 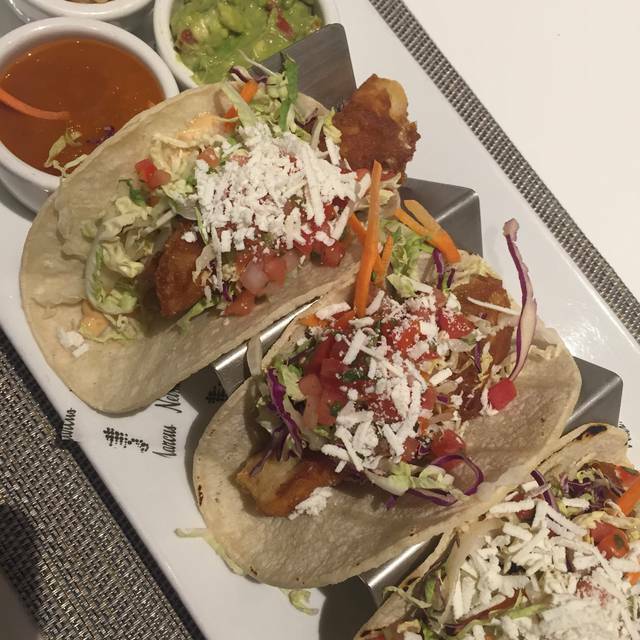 The food is delicious and covers the waterfront, from comfort food to California cuisine. The maitre d is a delight and the wait staff is incredibly professional and pleasant. What can I say? Despite the new decor, it is a classic. Excellent food and impeccable service. The seabass was full of flavor and one of our party ordered the tempura chicken slider and enjoyed it immensely. I highly recommend Mariposa as a great place for lunch!!! Food and service are top notch. I took my husband, and ex husband for lunch there, and they both loved it. Although NM's famous chili isn't on the menu, my server was gracious enough to bring me a cup of chili as an appetizer before my main order, the lobster club sandwich, which was PERFECT for a boiling hot day like this past Saturday. Since I'm a creature of habit, I decided to change my order before the server came so I'm glad I did.